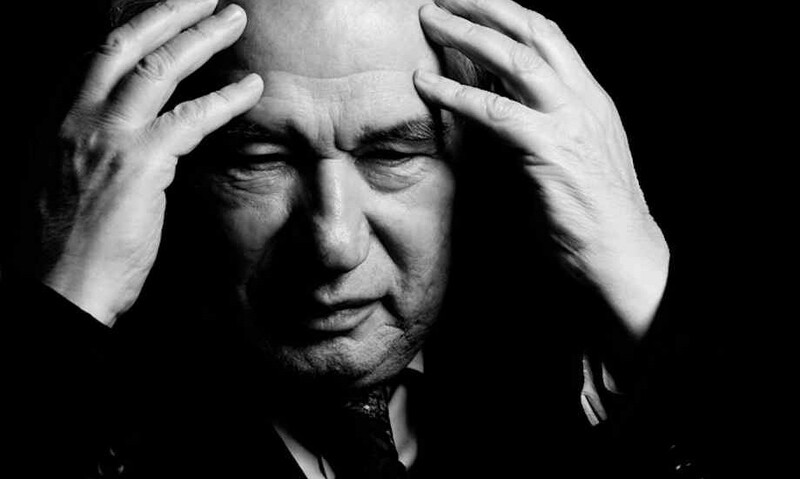 Chingiz Aitmatov’s work broke new ground in Soviet literature. More than merely bringing Socialist Realism to the steppe, his work represented a dual conquest – on one hand, the taming of Central Asian storytelling, bringing it into the canon of Soviet literature; on the other, Soviet literature changing dramatically in the process. Aitmatov’s stories are infused with ancient Central Asian traditions. He united the world of the Komsomol with that more distant land of kumiz (fermented mare’s milk) and the komuz (a traditional Kyrgyz three-stringed instrument). Across the Soviet Union, workers living in their regulation flats (all so alike that once inside, it proved difficult to tell whether one was in Chelyabinsk, Vladivostok or Voronezh), on opening one of Aitmatov’s books, became privy to a world of which they knew little or nothing. The Soviet conquest of Central Asia had been difficult, in many ways more problematic than that by the Tsarist army that had preceded it. Soviet rule in Central Asia sought to marry the USSR’s highly centralised, top-heavy bureaucracy with diverse, formerly nomadic cultures characterised in part by their complex and highly localised hierarchies. Living in what, for over 100 years, the Russians had seen as essentially frontier towns on the very edge of their mighty empire, in Central Asia people had a sense not only of their distant rulers in St Petersburg and later Moscow but also of the regional power base. The importance the Silk Road had waned, but still lingered. In any of these regions, the sense of living on the periphery of an empire was in many ways dwarfed not just by the mountains and river valleys but also by the understanding that they lived in a strategic hub that had been as important for Alexander the Great as it would be again. Aitmatov builds many layers of reference into his work, many stories themselves taking the malleable but still present form of traditional storytelling; each narrative is interwoven with threads of ancient tales, sayings, proverbs, myths and art. He is at his strongest when depicting the passing of traditional wisdom from the elderly to children. In both youth and old age there is a heightened perception of daily life. Whereas in youth that comes from energy and excitement at being confronted by ever more that is new, that requires understanding, in old age it is the sense that the end is near – and so simple daily occurrences take on a rare, poignant quality. Young adults generally play more fleeting roles in Aitmatov’s work, often providing dramatic contrast to the old ways. More than the fat party official in the leather coat who reeks of stale vodka, it is these young men who strive to live the modern Soviet life, who represent Soviet reality in Aitmatov’s work. They have no interest in the old ways, which are the preserve of the old men and the young boys they teach. But the appearance of the old ways is one of the crucial notes of optimism in Aitmatov’s work. Although there is an inescapable sense of loss running through his writing, Aitmatov was desperate to ensure that the traditions continued, both by incorporating them into his work and within the narratives themselves. Aitmatov describes the loneliness and alienation of the old ways with a sense of the importance of detail and an achingly beautiful feeling for language. He understands the isolation of a generation struggling to find a way of existing wholly within the new Soviet reality, unable to understand the need to destroy so much of the old and doomed to exist between the two worlds. Much has been written about the role of women in Aitmatov’s work, and he does explore the changing role of Soviet Central Asian women; but he also brings out the variety of traditions within cultures that predated the Soviets. Muslim, pagan and Soviet traditions vie for superiority at every social gathering, and in every story Aitmatov portrays the balance struck between these competing models in a personal, social and community setting. Anyone new to Aitmatov’s work will be immediately struck by the drama of nature in his work. Sudden hailstorms on the treacherous mountain passes, violent winds sweeping the steppe and the awe-inspiring force of the sea have such an effect on narrative action that they should be deemed characters in their own right. Aitmatov infuses each depiction of nature with a sense of eternity: seas that formed long before human beings existed and mountains that will remain long after humans disappear. His tales of collective farms and village life are thus endowed with an epic quality that lends them a relevance far beyond their immediate context. This is part of a Guide to Aitmatov. 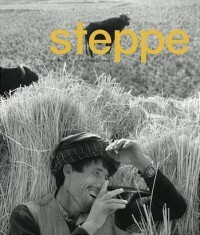 More information, including a personal tribute from a friend, synopses of his greatest works, and extracts from his work are available when you buy Steppe 5. Sian Glaessner is a radio and print journalist with a long-standing interest in Russia and the former Soviet Union.